Who? 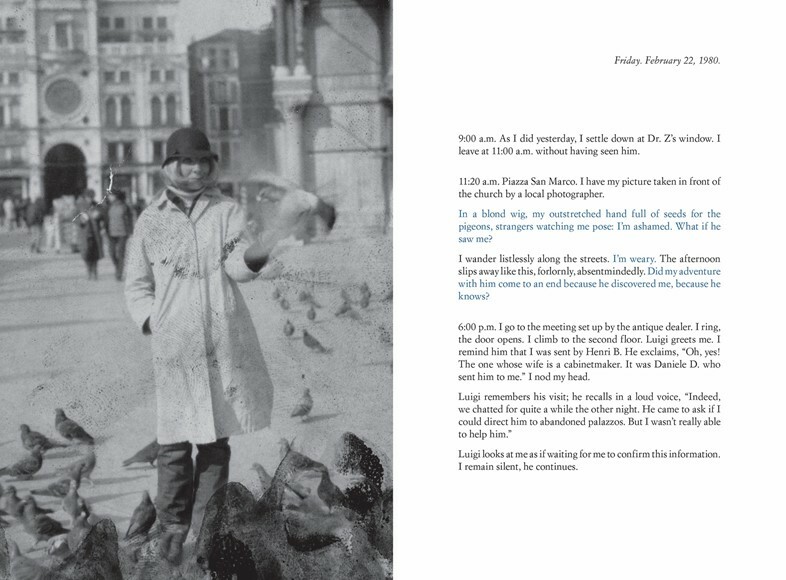 Sophie Calle is an artist of the unexpected. She explores what it is to be an observer and to be observed; she stalks; she writes down her findings with the precision of a police report or a psychiatrist’s case notes. Her work – which ranges from photography and film to performance and installation – has electrified the Paris art scene with its quest-like intensity (she is not far removed from other performance artists like Marina Abramović). For one experiment, The Detective in 1980, Calle hired a private detective to follow her and noted how that day she visited all the places in Paris which held some emotional significance for her. Leading him through the Luxembourg Gardens, Calle remembers her first kiss which took place there, though the detective’s report simply states, “The subject crosses the Jardin de Luxembourg”. It is this disparity between personal and objective realities she explores throughout her work. What? She stumbled upon her next project. She met a man, Henri B., at a party. 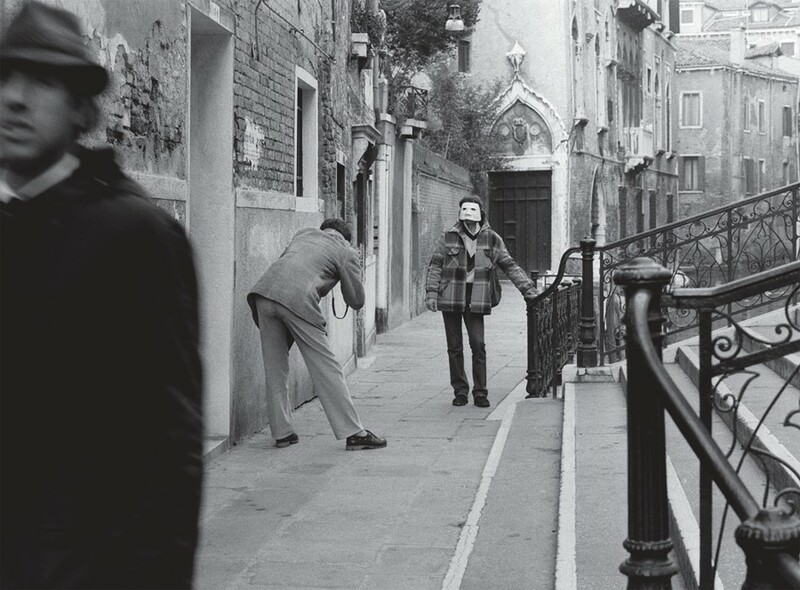 He said he was moving to Venice, so she moved to Venice and there, she began to follow him. Suite Vénitienne was the resulting book, first published in 1979 and re-released this month in collaboration with Siglio. Calle documents her attempts to follow her subject. She phoned hundreds of hotels, even visited the police station, to find out where he was staying, and persuaded a woman who lived opposite to let her photograph him from her window. 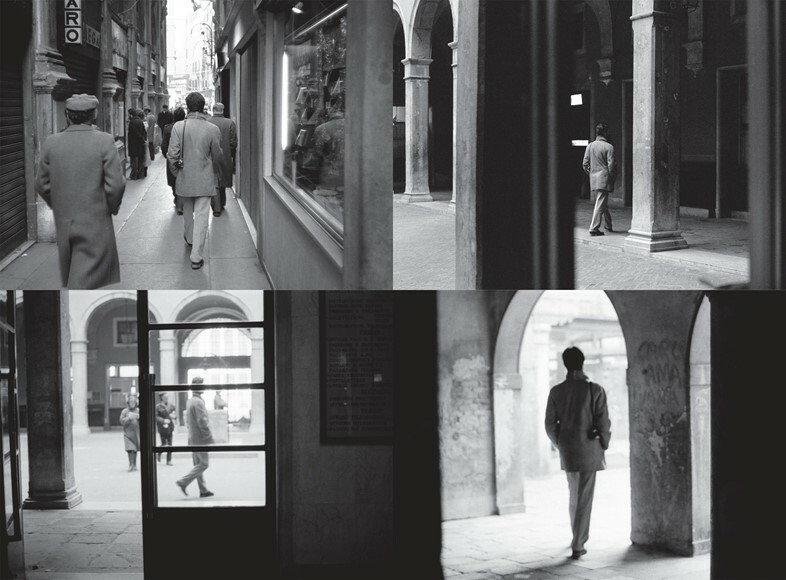 Her photographs show the back of a raincoated man as he travels through the winding Venetian streets, a surreal and striking backdrop to her internalised mission. The very beauty of her surroundings has a filmic quality, intensifying the thriller-esque narrative of her project. Sometimes her means of following Henri B. are methodical – enlisting Venetian friends to make a phone call on her behalf – and sometimes arbitrary – following a delivery boy to see if he will lead her to him. 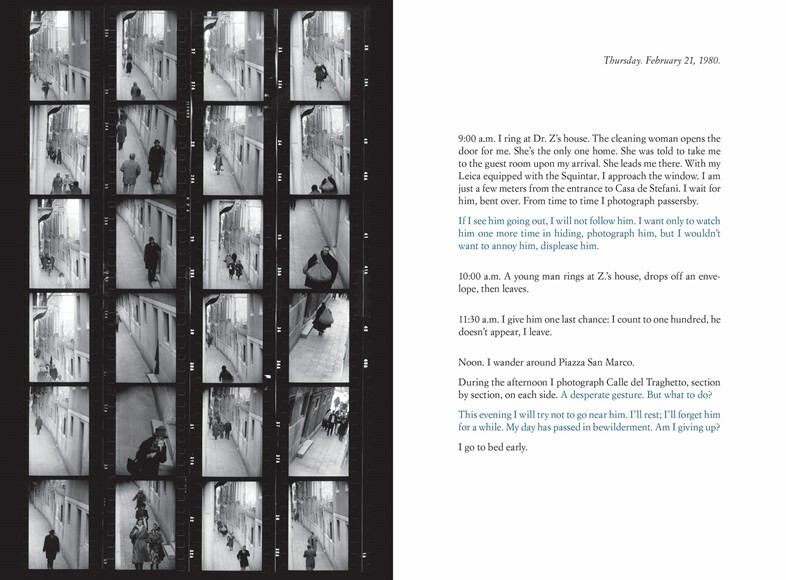 Alongside the photographs, Calle documents her surveillance, noting and evaluating her emotions as she trails the mystery figure, reminding herself that though she feels like she’s in love with him, it is his very elusivity to which she is drawn. She describes the wide gap between her own thoughts and his, which she cannot know. 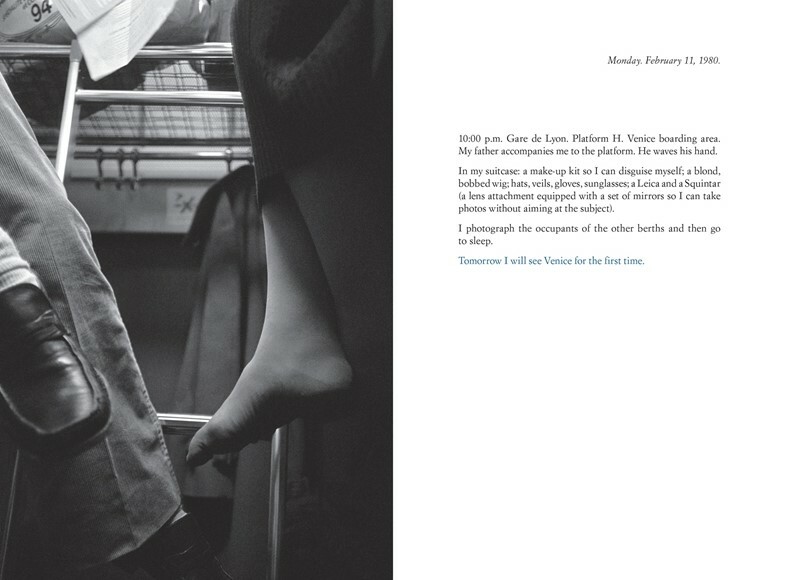 And there is one meeting between the artist and her subject – Henri B. confronts her after she has strayed too close. Why? For Calle, real lives can be plundered for art. She fuses this reality with an element of the unreal – her own psychological projections and emotions which begin to build a fictional construct around her subject. It is a tantalising task; she indulges in her own tortuous emotions like an addict, completely unbeknownst to her subject. Then there is the clear delight in investigative methodology, in documenting each aspect of her journey. What is most interesting about Calle’s approach is that she never meant for this to be art – what began as unconventional personal projects was picked up by an art world hungry for her stories.